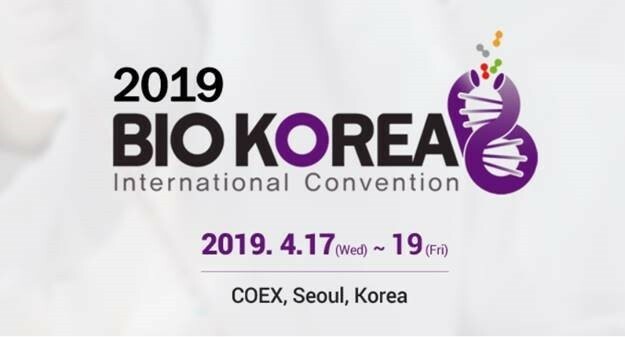 The annual Bio Korea International Convention 2019 opens on Wednesday at Coex in southern Seoul, gathering researchers, developers and biopharmaceutical firms to discuss next technologies and innovation, organizers said Tuesday. The event, running through Friday, will feature talks on topics including immuno-oncology drug development, global business expansion strategies, cell therapies for incurable diseases and current and next-generation therapeutic antibodies. Participants will also share views on big data and artificial intelligence in bio tech, recent advancements in genome editing in Korea and regulatory trends in CAR-T cell (chimeric antigen receptor T cells) therapy. Sideline events include an exhibition, investment fair and job fair. Some 150 companies will showcase their bio technology and products to seek out investment opportunities and recruit talents. Last year’s event drew attendance of over 24,000 from 50 countries. Participating bio companies carried out more than 1,400 business meetings. Organizers of this year’s event are the North Gyeongsang provincial government, where Korea’s bio cluster is located, and the Korea Health Industry Development Institute. Sponsors include Ministry of Health, Ministry of Trade, Seoul Metropolitan Government and Ministry of Food and Drug Safety, Korean Intellectual Property Office, as well as the National Cancer Center, doctors’ and pharmacists‘ associations and various pharmaceutical companies including Yuhan Corp, Ildong Pharmaceutical and Chong Kun Dang.